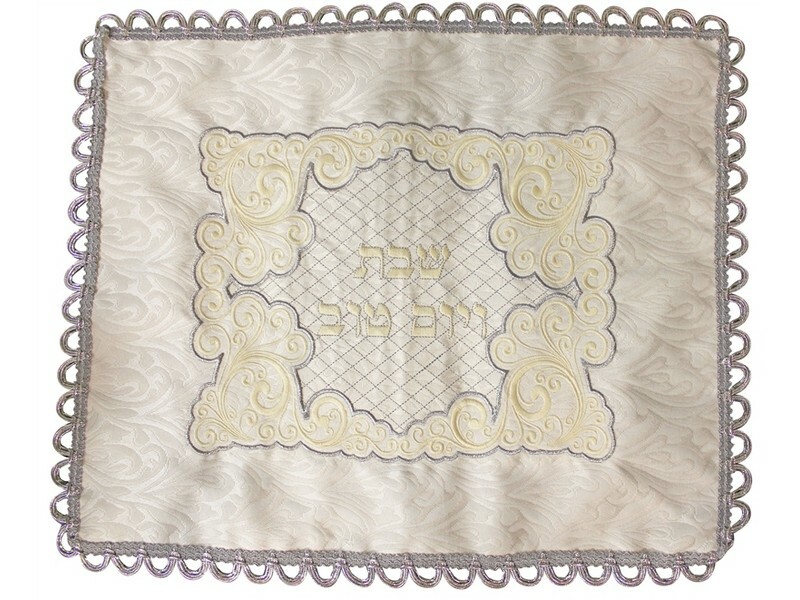 Made of elegant designed heavy brocade fabric, this challah cover is decorated with a large frame embroidered with large magnificent scrollwork designs. The larger outer frame is embroidered with exquisite scrollwork designs. In the center, the Hebrew words, “Shabbat v’Yom Tov”, “Shabbat and Yom Tov”, are embroidered in the center. A diagonal stitching in each direction creates a diamond shaped background. The edges are finished with silver thread arches.